Sunday found us plugging away on the CB project. by the end of the day, cover pieces were shinier, and the top end is set, timed and ready to go! 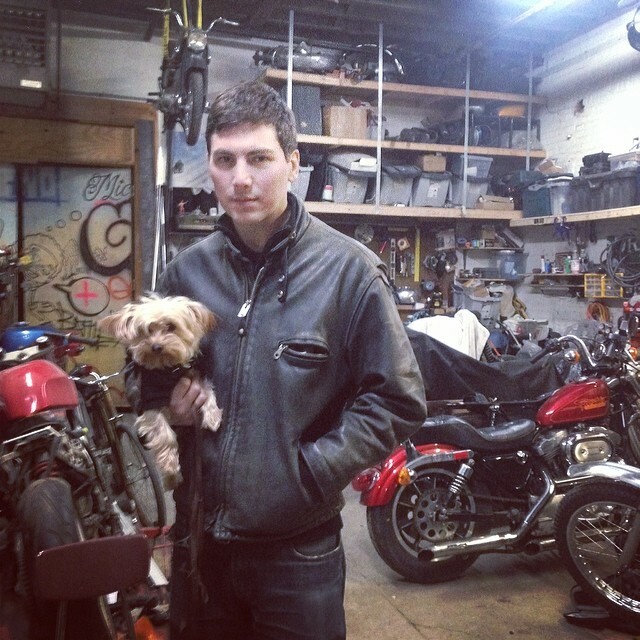 Congrats to Suzanne and Tony (who stopped by with their pup) on their recent engagement. Glad we got to hang out and give you both a hug! And of course it’s not just us girls in the garage. 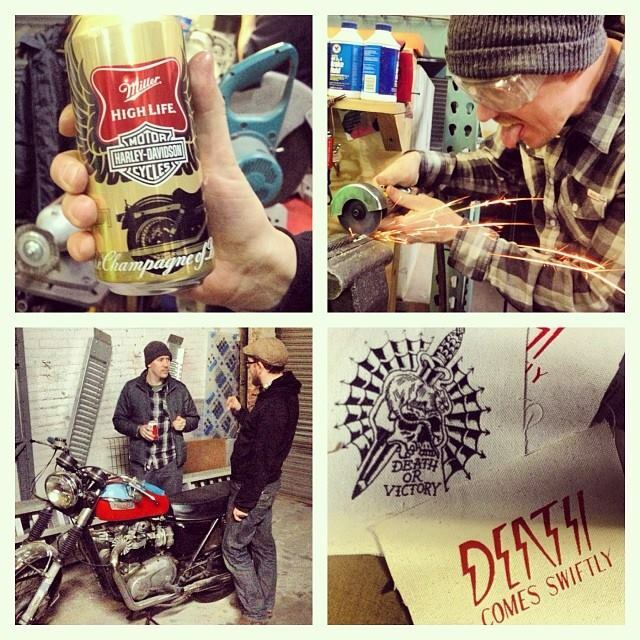 The fellas were there for good company, moral support, ‘harley beer’ and custom patches. Thanks guys! 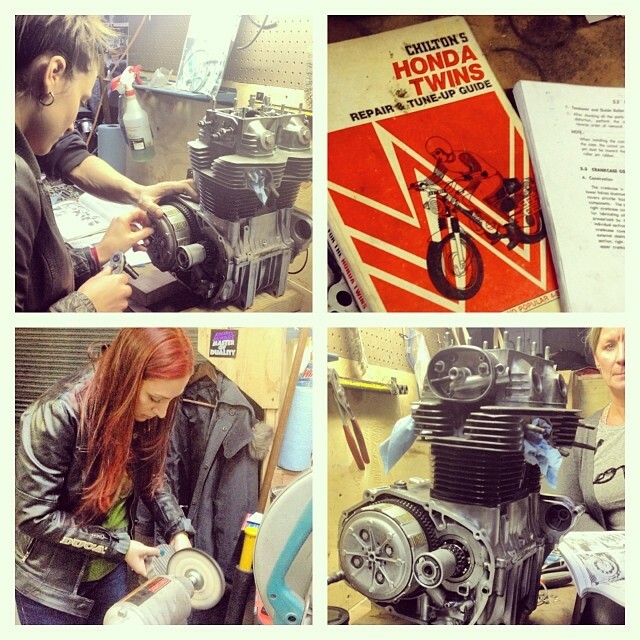 This entry was posted in Project bikes, Wrenching and tagged cb350g, garage, garage day, garage girls, honda, honda cb350, the miss-fires, the missfires, vintage motorcycle, winter projects, wrenching. Bookmark the permalink. Hi Ladies, We had fun last night— if you were not there you were missed!!! I sent Corrina a ton of photo’s she will post here are just a few…. of what is coming! Erika, Alison and Lori can you like me on fb, I have good photos of you!! Or I could put on Instagram!